Generally, you’ll want to ward towards river around 2:30 min. Even if there’s a low chance that an enemy Jungler will gank, it’s better to have a ward there than not. Be aware of tempo and know who will get back to the map faster after a reset. If you’re down-tempo (meaning your enemies will return from base before you), you should avoid doing objectives. If you’re up-tempo, you have more freedom to do things such as making trades in lane. Watching and seeing when an enemy is basing provides valuable info and allows you to play with more freedom, such as playing more aggressively in lane. Look to lane swap towards Mid game (between 15-30 minutes), when you get bot tower or if the enemy gets your tower. Usually, when they get yours early, swap top. Letting your bot duo go mid helps you get map priority back and makes the map more “centered” due to numbers. Try to gift the gold to your allies when clearing wards, if no one wants it take it for yourself. Generally, if your Jungler doesn’t require a leash, it’s very good to freeze the lane to get a push advantage. 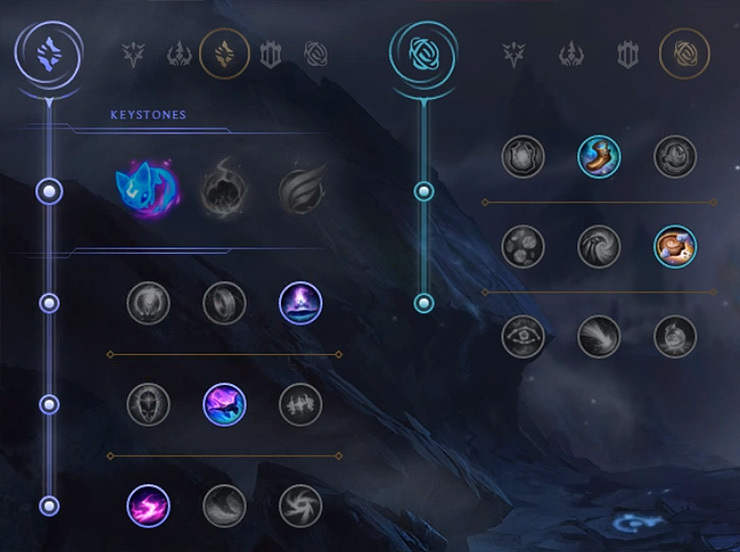 Place wards based on where you think most enemy activity will be. For example, if the enemy sends their bot lane Top, they’re likely going to target the turret as an objective, so prepare by warding around that area. Transcendence is more of a greedy pick when compared to Celerity. Celerity is more reliable because it can immediately help you dodge skillshots in lane. Transcendence takes a while to activate since you’re underleveled as a Support, and the game may be decided by then. Watch for where the enemy team sends the most numbers and look to set up some rotational pink wards. When they walk up and look to contest vision control, it’s a good time to look for a pick. If you aren’t leashing or freezing the wave as you enter lane phase, consider cheesing to get an early advantage. You want to pick Lulu in a safe lane when there’s a low potential of getting killed. She wants to go against Braum or other melee Support that play passively. She’s bad into all-in matchup situations. Buy your Yellow Trinket as your first item when the game begins so your next ward can start charging. This may give you a small window of time where you have a ward advantage over your opponent. When you’re playing Support and constantly pushing them in, you can roam mid if the lane is gankable. Use bushes to your advantage by staying out of vision, especially during lane phase. If you see your teammate in a situation where they are very likely to die and you won’t be able to help, just let them die and get out alive. When you’re very behind and the enemy is trying to close, play safe and wait until they make a mistake. The WORST thing you can do is try to make a hero play. When your Jungler is invading nearby enemy territory, be ready to help them if they need it. When the enemy is getting zoned off the creeps, it’s a good idea to slow push the wave so they miss as much CS as possible. Once it fully pushes in, you can usually get in a big chunk of the tower and deal poke damage. In situations where everything is going wrong, it’s important to stay calm and keep doing what you can to win. For example, if the enemy team has a lot of crowd control, you may want to consider Unsealed Spellbook. If they have low CC you can take something like Guardian. Generally, Spellbook is a lot better because of how useful Minion Dematerializer is. Save your Flash if your chances of getting out alive are low. If you waste it, you’ll be giving up kill pressure and making your lane more attractive for a gank. Try to place the ward at the edge outline of a bush, so you increase your useful vision of an area. Placing in the very middle of a bush may give you blind spots to key areas. During lane phase, you can anticipate when the next enemy minion will arrive by watching where yours is. If you’re not sure what to do after laning phase, look to roam the map helping where you can like a nomad.